Giving days are gaining in popularity and are a powerful way to drive alumni participation, acquire new donors, and increase student engagement. A 24-hour fundraising event creates a sense of urgency, competition, and community—all factors that boost giving. But, it takes the right team, tools, and tactics to be successful. RNL Giving Day is the only platform that combines dynamic storytelling and volunteer management into one easy-to-use tool. Plus, our network of experts and industry-leading insights ensure your giving day excites your campus, engages donors, and raises more. RNL Giving Day includes RNL Digital Dialogue–Giving Day. Build excitement before and during your giving day to engage more donors using our fully managed targeted digital advertising solution. 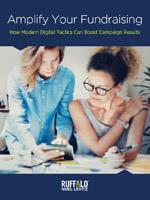 Reach donors where they are through thousands of websites, social networks, and mobile apps. RNL Giving Day can now include AL, our AI chat solution for fundraising. See how this conversational AI lets you have intelligent, natural one-on-one conversations with donors any time of day or night. Learn more about AL. See RNL Giving Day for yourself and how it gives you all the tools you need to have a world-class giving day. Why choose RNL Giving Day to amplify your fundraising? Find out how the University of California, Santa Barbara, rallied the campus around a giving day that engaged 1,200 donors that led to millions in gifts. Boost giving through an innovative platform that has fueled more than 5,000 successful fundraising projects.